Now that your project file is set up with all the necessary basics, you're ready to get down to the real business of entering tasks. Phases. Think of the overall phases of the project. For example, in a commercial construction project, you might enter the phases of Procurement, On-Site Mobilization, Site Grading, Foundations, Steel Erection, and so on. After those phases are in place, you can add tasks and subtasks beneath them. Milestones and deliverables. Consider what the project is producing in terms of the milestones and deliverables. Enter those events as tasks and then add tasks and subtasks beneath them to flesh out the project. Your scope statement can be a valuable guide in this process. Team collaboration. Ask team members to list the tasks they believe will be necessary to the areas under their responsibility (assuming, of course, that you already have team members in place and available). Team members can do this informally, for example, through e-mail. Or, team members can submit tasks and their estimated durations in a Microsoft Excel spreadsheet, which you can then easily import into Microsoft Project. If you're using Project Server, team members can send you tasks from Project Web Access 2003 and then you can incorporate them automatically into your project plan. For more information about creating new tasks through automated team collaboration, see "Assigning Tasks to Enterprise Resources" on page 666. Archived projects. 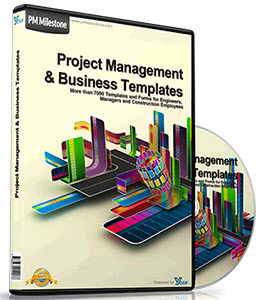 Review completed projects of a similar type done in your organization. With such historical information, you might find that much of the "legwork"—in terms of phases, task sequencing, resource assignments, and more—has been done for you. If the archived projects contain solid tracking information, you'll have excellent data on durations and costs. For more information about using an old project as a starting point for a new one, see "Starting a New Project Using a Template" on page 851. For more information about saving a completed project for future reference, see "Closing a Project" on page 860. Expert consultation. Ask known experts what tasks are needed for various aspects of the project. This is particularly useful if you're the manager of a project in which you're not necessarily an expert. This happens frequently enough, and it's not necessarily a bad thing, but you will need dependable experts to help provide reliable task information. 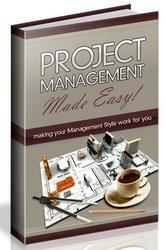 Even if you're well-versed in the project knowledge area, you might not know all the necessary details for each phase. Experts can come from within your own group, from stakeholders, from other groups or project managers within your organization, or from colleagues in your profession or industry.